First of all I want to say that the video was supposed to be alot longer, but however my HDD decided to start lagging when I record with fraps. I'll be getting one of those SSD hardrives in the future, so dont expect this movie to be the last one from me! I'd like to thank Feenix crew(wow-one.com) for making all this possible and hosting this amazing server for everyone to enjoy. 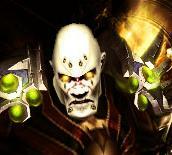 And please do check www.wow-one.com if your interested of re-living or experiencing vanilla-wow for the first time!